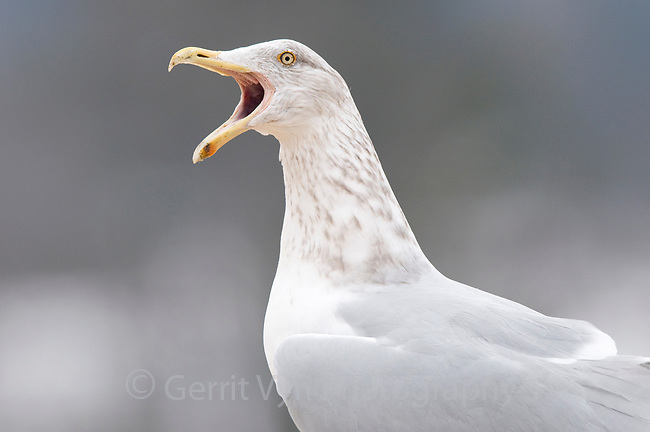 Adult Herring Gull in basic (winter) plumage vocalizing. Bird is giving the "mew call", a long, drawn out, single note given with neck stretched forward and arched. Tompkins County, New York. February.